As a member of the Zoo Aquarium Association, Wildlife Habitat partners with many government and non-government industry colleagues to ensure the best practice and management techniques are utilised to maintain sustainable captive populations. We aim to foster a sustainable future for the animals by ensuring the most viable and genetically diverse collection of individuals. There are many Australian species that have managed breeding programs, and Wildlife Habitat is proud to be a major contributor. Some of the species that we work with are Mahogany glider, Lumholtz’s Tree-kangaroo, Southern Cassowary, Spotted-tailed Quoll, Noisy Pitta and Black-winged Stilt to list a few. 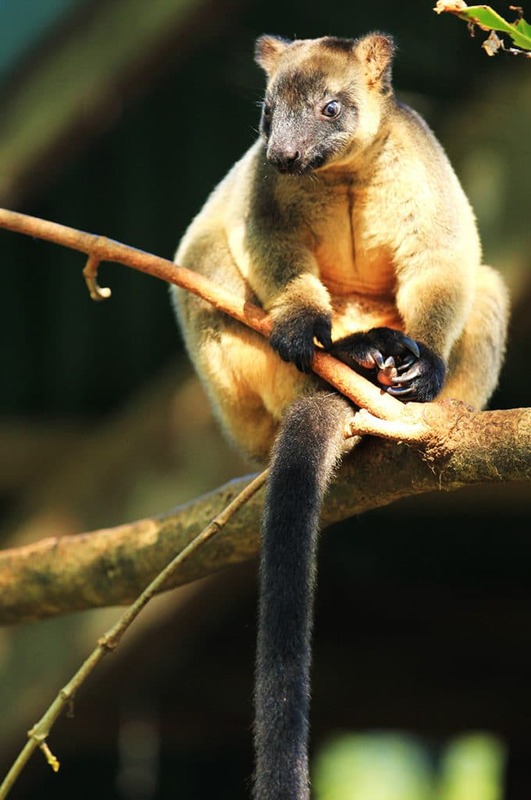 Lumholtz’s tree-kangaroo is of specific importance to us being an icon of the region and being one of only two zoo’s in the world to display this animal. Wildlife Habitat is working with a number of conservation organisations and zoos to create awareness and understanding of this rare and illusive species. Daily observations, records and monitoring as well as opportunistic research is undertaken both in-situ and by ex-situ organisations. This information is readily shared with the wider community and is aiding in the management of conserving the species. Wildlife Habitat has been able to contribute to the development of a comprehensive captive management and husbandry guide for the Lumholtz’s tree-kangaroo, that can be shared amongst other zoological institutions and wildlife carers.